One company is offering a solution that could help cut down on the number of cellular offenders endangering themselves and others. Scosche is offering a device that blocks cell usage in a car while the vehicle is in motion called CellCONTROL. As with any new technology, compatibility is always a concern. All the same, Scosche insists that the CellCONTROL is broadly compatible and easy to use. Any car sold in the U.S. in 1996 or later was made with an OBD-II interface, which is all their system needs to work within the car. They also claim that it works with more than 1,200 different phones such as BlackBerry 4.5 and higher, Android 2.1 and above, yet the iPhone is unmistakably missing from their list. Once installed, drivers will find that their phone is only accessible via bluetooth headset. Email, SMS and really everything that would take your eyes off the road is out of reach until the wheels stop spinning. While this is certainly a step in the right direction, we wonder how many people will really use this device. It costs $129.95 on the company site, so after shipping and all costs, you’re likely to drop at least $150 when you can just as easily put the phone out of reach, say in a briefcase behind your seat. The bluetooth headset should still reach at that range and you won’t be tempted to send snarky tweets while steering. Another obvious question: what about your passengers? Unless you’re the antisocial type or always drive alone, it would be a real nuisance for the co-pilot to be locked up as well. That said, there are some great applications which are surefire selling points. Parents looking for a way to enforce safe driving habits probably wont bat an eyelash at a one-time expense to keep the kiddies safe. To sweeten the deal, the CellCONTROL gets a designated administrator, say mom or dad, and notifies them if someone tampers with the device. It’s a good idea that parents will probably buy into, but unless insurance companies start offering discounts to drivers who install these things, it seems like a hard sell to the adult crowd. To keep eager fans waiting, the company has released several teaser images of the all-new 2013 Santa Fe. The first element that jumps out at the eye is a heavily chromed version of the brand’s traditional hexagonal grille, which gives the Santa Fe a more premium look than its predecessor. The SUV appears to be equipped with xenon lights and LED foglights, but those two features will likely be reserved for upscale versions and will not be standard across the lineup. Hyundai says that the SUV inaugurates a new design language called “Storm Edge”. It is billed as an evolution of Fluidic Sculpture, and gives the Santa Fe a sporty and aggressive look. The pictures confirm that the car’s rear end bears very strong resemblance to several members of Audi’s SUV lineup. The Korean manufacturer did not release any interior photos, but we have a good idea of what it will look like thanks to photos taken by our spies. Clearly, the highly-stylized center stack came from the same design studios as those seen in the smaller Tucson, the Elantra and the Sonata. While the current Santa Fe’s dashboard is more functional than dramatic, the new interior appears to move in the opposite direction. Needless to say, it might take some time to sort out all of its scattered buttons. A color LCD screen sits in the radio display and the climate control system is a series of knobs and buttons that look more futuristic. Silver-painted trim is evident throughout. Interestingly, our spies spotted both automatic and manual transmission models, just like the current Santa Fe. It’s unknown if the manual transmission will return to the United States market or if the model being tested featured a global powertrain. Hyundai has limited the stick to just the base front-wheel-drive four-cylinder GLS Santa Fe in the U.S.
It’s expected that the Santa Fe will be offered in two configurations for 2013, both of which will replace the current Santa Fe and the larger, slow-selling Veracruz. Five-seat Santa Fes will probably move a bit upmarket to better compete with the likes of the Ford Edge and Jeep Grand Cherokee – both of which have been spotted testing with the Santa Fe – while the seven-seat model will be repositioned to better go after three-row crossovers like the Mazda CX-9 and Toyota Highlander. The three-row model might carry on the Veracruz nameplate, but we’d put our money on that Mexican port city losing its automotive equivalent for 2013. As far as what’s brewing in the engine room, Seoul has been notoriously tight-lipped. A 200-horsepower 2.4-liter naturally-aspirated four-cylinder will likely be offered as a rival to the Chevrolet Equinox, while the 274-horsepower 2.0-liter turbo four will tackle the Ford Edge EcoBoost. But Hyundai needs a V6 to compete against more upmarket models like the Jeep Grand Cherokee, which means that the 3.5-liter V6 used in the Kia Sorento will also probably be on offer – albeit with around 300 horsepower to differentiate it from the turbo four. help your gas engines last longer. harmful effects of ethanol fuel blends. engines powering sporting equipment such as boats, snowmobiles and ATVs. while also keeping the fuel fresh for up to three years. 2-cycle engines like those on trimmers, which use a blend of oil and gasoline. systems engineer at Briggs & Stratton. extreme protection against fuel-related problems. Toyota is recalling almost a half-million model year 2005-09 Tacoma vehicles, manufactured from Sept. 14, 2004, through Aug. 29, 2008. Over time, steering wheel vibration may damage the spiral cable assembly (clockspring) that powers the drivers air bag module. If damage occurs, the air bag warning lamp will illuminate and the air bag may become deactivated. In the event of a crash, the drivers side air bag may not deploy, increasing the risk of personal injury. Toyota will notify owners, and dealers will replace the spiral cable assembly, free of charge. The safety recall is expected to begin in early April. Another study shows vehicles are growing even more dependable. Consumer Reports compared the percentage of problem-free, three-year-old models from its 2002 and 2011 Annual Auto surveys for 13 automakers based on their product output for which owners did not report any serious problems with their cars during the 12 months covered by each survey. The analysis of 2011 survey data revealed an overall improvement in used-car reliability from almost all automakers with Volvo, Mercedes-Benz, Volkswagen, Hyundai, Ford, General Motors, and Chrysler showing the most notable gains (a minimum of 10 percentage points) compared to Consumer Reports' 2002 results. BMW landed at the bottom of the 2011 list with only about 70 percent of its used cars being trouble-free, which is better than the 2002 survey average of 68 percent. Consumer Reports chose three-year-old vehicles most of which are coming off warranty and when owners begin to assume the cost of ongoing repairs. By age three, most models also have the steepest part of depreciation behind them, so used-car buyers will find it a good age on which to focus. In its analysis of used cars, Consumer Reports also tracked extremes from 2007 models five models that started out with few problems and stayed reliable as they turned five years old and five models that started out with a few more problems and got much worse over time. The 2007 Toyota Prius averaged six problems per 100 cars in its first year and 26 at age five; the Mini Cooper S hatchback averaged nine per 100 cars in the first year and 113 by age five. percent) in the last two months of 2011.
the latest TransUnion Auto Vehicle Price Index. new one growing to about 1.93 during November and December. 650 000 second-hand cars changed hands. The CIAS is the largest and best attended auto show in Canada. Because of this most OEMs pull no punches when it comes to their displays. The show runs from February 17th to February 26th at the Metro Toronto Convention Centre. So what should be on your shortlist to see this year? Find out after the jump. Details such as ticket prices, parking and much more can be found on the Canadian International Auto Show website. Every year the auto show circuit is packed with concept cars (usually crossovers and minivans) that do away with the B-pillar to tease us with easy access and a wide aperture to the cabin. It's what Ford's European exterior design director Stefan Lamm calls "a designer's dream". But none of them ever make it into production. That is, until now. Ford first showed off a compact MPV concept called the B-Max at the Geneva Motor Show last year that, like many others, did without a B-pillar altogether. Earlier this month, the Blue Oval automaker announced it was putting the Fiesta-based minivan into production – and that the pillar would stay out. 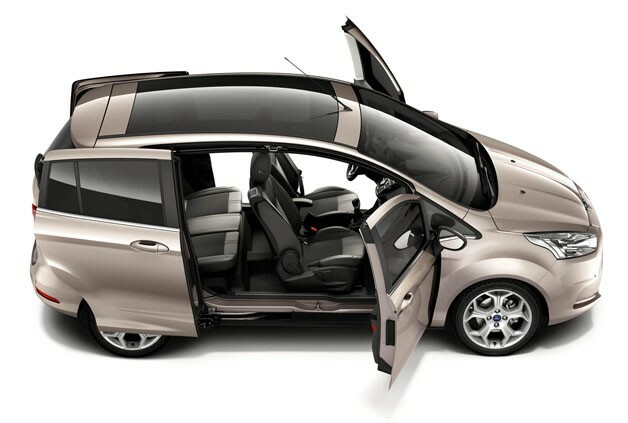 But this is the first image we've received of the production B-Max with its wide-opening doors actually, you know...open. The combined aperture of the conventional front-hinged doors and sliding rear doors, unencumbered by the pillar you'd usually expect to find there, comes in at a whopping 1.5 metres wide – nearly twice that of the Opel Meriva with its innovative rear "suicide" doors – and is made possible by strategic use of high-strength steel incorporated into the doors. Follow the jump for the full press release and stay tuned for the vehicle's debut at the upcoming Geneva show. While we might hope for the Easy Door Access System to find its way into Ford's North American offerings in the near future, we wouldn't expect to find the B-Max you see here in our showrooms any time soon. Before the heyday of big SUVs in the 1990s, Lamborghini departed from its script and introduced the LM002 -- a muscular off-roader that was built in small numbers from 1986 to 1993. The "Rambo Lambo" was seen as an oddity for a company famed for such distinguished high-performance sports cars as the Miura and Countach. But now Lamborghini is primed to do a second SUV, a source at Audi, Lambo's parent company, tells Autoweek. An SUV concept will debut at the Beijing auto show in April, according to the source. By 2016, this spiritual successor to the LM002 is scheduled to join the replacement for the Gallardo and the recently introduced Aventador in what will be at least a three-model Lambo lineup. A fourth model -- a low-slung four-door sedan previewed by the Estoque concept --also is under consideration. The Lamborghini SUV is expected to share underpinnings with the next-generation Audi Q7, which also will provide the platform for a new Bentley off-roader. WOMAN OF THE YEAR IN AUTO SALES! Manheim presented its eighth annual Barbara Cox Anthony Automotive Woman of the Year Award to Rachel M. Richards, vice president of retail strategy and chief marketing officer for Sonic Automotive. The honor recognizes the diverse contributions Richards has made to the automotive industry and service to her Charlotte, N.C., community. Manheim President Sandy Schwartz presented the award during Northwood Universitys annual breakfast at the National Automobile Dealers Association convention in Las Vegas. Richards is a passionate advocate for our industry, her customers and her community, said Schwartz. In addition to her many professional accomplishments, she has been instrumental in developing innovative business solutions, demonstrating a commitment to automotive education and serving as a role model to women in this industry. Richards joined Sonic in 2006 as the director of retail strategy and project management. In this role, she redefined the Fortune 400 companys retail online and digital strategy, as well as helped develop dealer management system business requirements and processes. Prior to joining Sonic, Richards held various field, regional management and corporate positions within Ford Motor Co. and the Ford Motor Credit Co. I am truly honored to receive this very prestigious award and be recognized for my accomplishments in our field, she said. Upon entering the automotive industry, after my graduation from college, I would never have dreamed that my contributions and body of work would be recognized and honored in this way. I am grateful for having the opportunity to have learned from many hard working and very smart men and women and that I continue to work with so many wonderful people in this great industry of ours. Giving back to those that work and aspire to enter the automotive industry is very important to me. Knowing that in conjunction with this award, a scholarship is granted to a deserving college student makes it even more special. In conjunction with the award presented to Richards, Manheim will make a scholarship contribution to a deserving junior or senior student at Northwood University. Richards is a member of the Womens Automotive Association International, which recognizes the achievements of women in the industry, as well as provides counsel and education on automotive careers. In addition to her dedication to the automotive industry, Richards gives back to her community as a Girl Scout leader, supporter of Habitat for Humanity, annual sponsor of CHAMP (Children Achieving Maximum Potential), which enables underprivileged children to participate in an afterschool educational and mentoring program, as well as numerous volunteer activities throughout her daughters school years. MORE DETAIL ON STORES THAN CARS! Dealers are tearing up tile to match the right color of gray. As dealers and manufacturers come together this week in Las Vegas for the National Automobile Dealers Association convention, it is important to focus on a contentious issue that continues to run through both camps: dealership facility requirements. It is long past time to put an end to this conflict. As the economy improves and the pace of vehicle sales quickens, pressure is increasing on dealers to renovate. That strain and the tension among manufacturers and dealers over facility requirements are growing. Some of the recent standards -- specifications about towel bars in the restroom, the color of floor tile or the type of picture frames salespeople are allowed to have on their desks -- seem beyond reason. There's no question that manufacturers need to maintain a common approach to their retail standards. But not only is the nitpicking nature of dealership image programs forcing a cookie cutter approach; it is leading to needless aggravation. Meanwhile, the direct impact on retail sales has been unclear. The results of an NADA-commissioned study of dealership image programs are scheduled to be released on Saturday, Feb. 4. The study's results should help determine whether dealers can expect a payback when they invest in manufacturer facility recommendations. The study also could be the basis for a dealer-factory rapprochement needed to avoid escalating animosity. Unreasonable facility standards that don't provide a direct return on investment, particularly at a time when dealers are restructuring their businesses and returning to a consistent period of profitability, will lead only to increased tension between a manufacturer and its franchised dealers. Dealerships should be attractive. But expensive standards requiring hefty investments must not interfere with a retailer's ability to run a business profitability. It is time for dealers and factories to reason together. Focus on basics: minimum standards and maximum profitability for all. The only gray area in this argument is the color of the tile. And it's not that important. Make your notes right away with questions and concerns for your mechanic. Also, take a moment to rate the car. Use this evaluation system to help you out. If you have any doubts, walk away. There are plenty of cars for sale. Increasing demand and plummeting supply have pushed used-car prices in Canada steadily higher since last summer, a trend expected to continue over the coming years, industry players say. The business manager of an independent used-car dealership in Oshawa, Ont., said he was able to buy a "decent," three- or four-year-old van at auction for $6,000 last year. The same van would cost him $7,000 today. "For us as an independent, it's becoming difficult to purchase quality used vehicles," said William Smith of RER Automobiles. "It's pretty simple: if there's less to go around, then you end up paying more for the same thing." Several factors have combined in the last year or so to restrict supply in the used-vehicle market, auto industry analyst Dennis DesRosiers said. Fleet sales — which are primarily made to car rental agencies, but include fleets of vehicles used by businesses and government — began to fall over the last couple years as the rental market softened, said DesRosiers, president of DesRosiers Automotive Consultants. In the past, a rental agency would get rid of their cars after three or four months, auctioning them off to dealerships who would in turn sell them to the public. Today, rental agencies tend to keep their cars for a year or even longer before auctioning them off, which has slowed down an important supply of used vehicles. Another key supply of used vehicles virtually disappeared this year when credit markets froze, making it very difficult for consumers to lease new vehicles. Ordinarily, once a lease is up, the car will be auctioned off into the used market in much the same way as fleet vehicles. DesRosiers cautioned that the full impact of this lack of supply won't be felt for another two or three years. "We're only at the earliest stages," he said. "It's going to get a lot worse." A third factor affecting used vehicle prices is demand. Price-conscious and recession-weary buyers, made even more cautious by the struggles of troubled automakers like General Motors and Chrysler, are increasingly turning to used cars rather than new. According to used-vehicle consulting firm Manheim Consulting, used-vehicle sales by dealerships in the U.S. increased by 3.4 per cent in July compared to a year earlier. Meanwhile, ADESA Analytical Services found wholesale used vehicle prices increased by 7.3 per cent in the same time period. DesRosiers said it's safe to assume the Canadian trends are similar. He estimated that the supply of off-lease and off-fleet vehicles will drop by 40 to 50 per cent over the next two to three years, pushing the price of newer used vehicles with relatively low mileage up by five to 10 per cent. All of these factors are forcing consumers to shop around for the best deal they can get. Dan Simmons, 25, of Pickering, Ont., turned to online classified service Craigslist when he wanted to buy a cheap used car for a cross-country road trip. He found a 1998 Buick LeSabre with 150,000 kilometres for $1,200 and had purchased it, licensed it and certified it within 24 hours of contacting the seller. Meanwhile, Meredith McLennan, 26, of Edmonton said she needed to replace her old car after it was rear-ended, but spent some time shopping around first. McLennan ended up paying $17,000 for a 2007 Mazda3 sport hatchback with 40,000 kilometres at a dealership. She said she's confident she got a good price because of the research she did using online classified sites like Craigslist, Kijiji and Auto Trader. "I decided to go with a used car because I wanted a car that was relatively new, but affordable," she said. "I shopped around and looked at some comparables, and I think I got a good deal." Scott Neil, director of marketing at Auto Trader, said traffic to independent automotive sites like his increased by eight per cent between July 2008 and July 2009. While Auto Trader sells both new and used cars, he said the majority of the traffic increase has been people looking at used cars. He said this trend isn't going to change any time soon, with the used vehicle market expected to grow by about 10 per cent between now and 2011. One other factor affecting the growing popularity of used cars is the fact the quality of newer cars has improved substantially over the last 10 years or so. In the 1970s, a vehicle tended to last for about 170,000 kilometres. Today, this has increased to 277,000 kilometres and will grow in the next decade to 320,000 kilometres, according to DesRosiers. "One of the biggest issues with used vehicles historically is that there was a discomfort buying used vehicles because consumers were worrying about buying someone else's problem," DesRosiers said. "Today, that's much less of an issue, particularly with a vehicle under seven or eight years old." DesRosiers said that while the average vehicle used to see two or three owners before it was scrapped, today that has increased to four or five. Because of this, used vehicles will continue to account for a growing percentage of vehicle sales, DesRosiers said — potentially as high as 70 per cent of total Canadian sales by 2013. New-car sales will continue improving in a strong 2012 as the industry moves back to normal. Economists speaking at the Society of Automotive Analysts outlook conference expressed general confidence about a stronger car market and a somewhat stronger economy. "It's a better market," said Paul Taylor, chief economist for the National Automobile Dealers Association. "Cars are on the move." While new-car sales in 2011 were far below prior peaks, they showed a steady increase in both volume sales and dollar sales, Taylor said. The main factor holding back auto sales last year was a lack of inventory following the disasters in Japan. "You can't sell what you can't get," Taylor said. That shouldn't be a problem this year, although nobody predicted an earthquake and near meltdown last year. Or a string of revolts in the Middle East, either. G. Mustafa Mohatarem, chief economist for General Motors Co., said the industry proved it can meet these unexpected challenges. "Those have big impacts, but we work our way through them," Mohatarem said. That said, Mohatarem couldn't resist a joke about the Mayan calendar, which shows the world ending this year. The return of Japanese production could kick off a new round of incentives as manufacturers fight for marketshare, Taylor said. The improving economy will lift sales barring any unforeseen events, Taylor said. Key among the economic factors is increasing employment. Mohatarem said new-car buyers are returning to work, although many used-car buyers lag behind. Easier credit also helps auto sales, Taylor said. But he said finance companies seem uninterested in returning to the levels of subprime financing for new cars that drove sales to 17 million units. "We're actually better off long term that that doesn't happen," Taylor said. Mohatarem said any talk of a "new normal" in car sales was nonsense. Americans still rank an automotive purchase before any new gadget or other expense. "At the end of the day, Americans want to buy cars," he said. In a study conducted by a major component manufacturer, improper lubrication accounts for 53% of all bearing failures, a major cause of equipment downtime and significant maintenance costs. The majority of failures are caused by: contamination of bushings by dust, dirt and moisture; inadequate amounts of lubricant applied to bearings; or over-lubrication of key pivot points. Direct costs resulting from inadequate lubrication include replacement bearings, labour to repair or replace bearings, unscheduled downtime and the impact on meeting customer delivery commitments. Indirect, but very real costs include work safety and housekeeping issues, wasted lube, environmental issues, and higher labor costs related to inefficient manual lubrication practices. An Automatic Lubrication System (ALS) helps eliminate these unplanned and unnecessary expenses. Whether you know it as an automatic lubrication system, an autogreaser or a centralized grease lubrication system, an ALS automatically lubricates multiple points on a machine from a centralized pump/control unit, which is mounted in an easily accessible location. A system dispenses small measured amounts of lubricant at frequent intervals, while your equipment is operating, maintaining a uniform supply of grease in the bearing at all times and a consistent lubricant seal to prevent dirt and contaminants from migrating into bearings. This is compared to the feast and famine conditions often associated with manual lubrication, where greasing is done "when there's time." In talking with people who don't currently use ALS, we often hear statements like 'Even if I use an Autogreaser, I still have to do a walk-around to inspect the system.' This is absolutely correct. An ALS will not replace your regular equipment maintenance inspection. You still have to check for loose or damaged lines and make sure that everything is operating smoothly. What an ALS does is take the grease gun out of your hand and replace it with a wrench. Then, you can use the grease lines as a guide and have the opportunity to focus on making any necessary adjustments or repairs as you conduct your regular inspection. An ALS helps to reduce or eliminate climbing over and under machinery or into difficult-to-reach areas. Whether you're an owner/operator of a single piece of equipment, or the fleet manager for a large operator, personnel safety in today's workplace is a key consideration. An ALS applies grease while the machine is running so you don't have to stop what you're doing or set aside time to lubricate it - in other words, less downtime. Furthermore, because the bearing is turning when it receives the grease, you get much better grease coverage on the bearing. Applying grease is often most effective when it is dispensed in small, measured amounts over short, frequent time intervals. Unfortunately, tight deadlines and manpower constraints or in some cases the location of the equipment often make this method of lubrication impossible. Equipment gets greased when it's available and when we have time and somebody available to do it. Clearly, this approach is not optimal for the point requiring lubrication. An ALS makes this problem go away. How much grease is too much? If you're old-school, you keep pumping it in until you see it oozing out of the bearing. This is what we at FLO Components like to call "over lubrication." As previously stated, frequent and small, measured amounts will give your bearings the best protection. In addition to no over/under lubrication, this also means that you get less spillage and leakage. The end results are less grease wastage and less mess on your equipment, site, parking lot, etc. Appearance aside, safety (danger of slipping) and environmental issues are even more important. Time and manpower constrains often make it nearly impossible to keep up with the greasing requirements of equipment, especially in the harsh Canadian climate. The "preventative maintenance" provided by an ALS is absolutely key to reducing maintenance costs and minimizing downtime by extending the life of the many pivots, bushings and components on the equipment. There are also fewer replacement parts to stock. Resulting from an increase in machine availability and reduction in downtime due to breakdowns or general maintenance. Because bearing areas are consistently protected and your machinery in general is better maintained. For the environment, less premature wear of bearings and other components means less landfill. Also, since you're not over greasing (see Better Housekeeping above), you're depleting fewer resources from the environment and you're not contaminating the environment with dripping grease. ALS systems vary in quality and design by manufacturer, but typically consist of five main components: a controller or timer to run the system; a pump and reservoir to store the grease; a supply line connecting the pump to the metering valves; metering valves or injectors to measure and distribute the lubricant and feed lines and fittings to deliver the lubricant to the application points. There are several manufacturers offering automatic lubrication systems in the industry today, so when you're sourcing a system, it's important to make sure you're comparing apples to apples and asking the right questions. The first thing to know is that there are different operating principles by which ALS are designed. The two most common types of ALS used on mobile equipment are Series Progressive and Parallel. In a single line progressive system, a pump delivers the lubricant to the lubrication points via progressive metering valves custom-sized for each application point. Lubricant flows through a primary valve which redirects to multiple secondary valves, and finally through feed lines to the ultimate application points. The nature of this system is such that if any line/bearing is not taking grease the entire system shuts down and there is (in a properly designed system) visual indication to the operator that there is a problem. This allows the operator an opportunity to take action before any damage occurs. In a parallel type system, lubricant flows from the pump through a single supply line to multiple branches of injectors. The injectors operate simultaneously but are independent of each other. Each injector serves only one lubrication point and may be accurately adjusted to deliver the precise amount of grease or oil required. The nature of a parallel type system is such that only main line pressure is monitored, so if any feed line or bearing is not taking lubricant, the remainder of the system will continue to function normally, but the lubricant starved bearing may be lost. Note that in a properly designed system, there are indicator pins on each injector to allow an operator to visually confirm each individual feed line is operating. Does the pump package include a high-pressure, inline, lubricant filter? A filter prevents the introduction into the distribution lines of contaminants that can cause system failure and costly component replacement and labour costs. For most system manufacturers, a filter is not supplied as standard - it must be specified. Are the hose and fittings standard NPT thread? Some system manufacturers use metric hose ends and fittings. Special adapters are required to adapt to NPT bearing inlets causing increased costs and labour and possible delays during servicing if you are not prepared with the proper replacement fittings. Does the pump reservoir incorporate a revolving paddle or a follower plate? A pump with transparent reservoir and revolving paddle eliminates grease cavitations (air bubbles in the grease that can cause system failure if they enter the system) and offers visual grease level monitoring. It also functions as a visual indicator to the operator that there is a problem if the paddle stops turning. Does the system include a pressure gauge? A pressure gauge allows for visual monitoring of the system pressure during regular maintenance inspections. For most system manufacturers, a pressure gauge is not supplied as standard - it must be specified. How are the steel lines mounted on the machine? Some system manufacturers weld heavy wall steel lines (or tube) directly to the machine structure. The tube is connected directly to the bearing points. Replacement of damaged lines or bearings requires grinders, torches and welders to remove and replace the line. Other manufacturers have lines clamped and guarded with steel angle and C-channel. This allows for quick and easy trouble-shooting and replacement of any damaged line or guard in the field. Do the metering valves incorporate high-pressure, manual grease fittings? Having a manual grease fitting at every metering valve allows for easier trouble-shooting, servicing, priming and flushing of grease lines. Not having a manual grease fitting means lines have to be disconnected to perform many of these tasks, substantially increasing labour costs. Most manufacturers either do not include grease fittings, or use standard grease fittings that leak when faced with the high back pressure of a blocked line. Alternatively, using high-pressure grease fittings specifically designed to handle high back pressure, on every metering valve ensures that in the unlikely event of a blocked line, the only leak will occur where the machine operator will see it - at the pressure relief valve on the pump package. How do you know if a bearing is not getting grease? With a progressive system, the metering valves work in series to each other. Some systems incorporate a cycle indicator pin (CIP) at the master valve assembly to provide visual confirmation of system cycling every time. If any line/bearing is not taking grease the entire system shuts down and there is visual indication (CIP) to the operator that there is a problem, allowing the operator an opportunity to take action before any damage occurs. In a parallel type system, the metering valves operate simultaneously but are independent. The parallel type system incorporates a pressure switch, which only monitors main line pressure, so there is no indication (related to pressure) if each individual feed line is operating. The remainder of the system will continue to function normally, but the grease starved bearing will likely be lost. For some manufacturers' systems, if any feed line or bearing is not taking grease, the only visual indication is the lack of lubricant at the bearing point. Others will include indicator pins on every injector which move in and out as lubricant is dispensed to visually confirm each individual feed line is operating. Does the system require special grease? Some systems used for on-road vehicles have a low maximum operating pressure, with small diameter hose/tubing and can only handle lube 000 through 0 (consistency of honey). In addition, if temperatures fall below -10 C, the #0 grease becomes too hard to pump and thinner grease must be used. Alternatively, in warmer climates, the thinner grease will drip away, causing potential damage to the bearings and environmental issues. Systems with higher maximum operating pressures will take any lubricant 000 through EP2 and can use any #2 chassis grease rated to perform down to -25 C. Also important to note, some manufacturers require you to purchase lubricant directly from them in order to warranty the system. Others have no restrictions on the brand of lubricant, which allows you to use your standard in-shop grease and considerably reduce inventory and costs. In closing, an automatic lubrication system is a valuable tool in reducing the direct and indirect costs resulting from inadequate lubrication, but you need to understand how it works, the different types of systems available and which type best suits your (or your company's) operation style. Most important of all, when sourcing an ALS, ask the questions outlined in this article and you'll be on your way to purchasing a tool that will help maintain your equipment, reduce your costs and increase productivity for years to come. The days are short, the nights are cold and the chances of encountering rain, snow, sleet or some other form of weather-related treachery during the course of any daily drive are at their peak. It just may be time to consider upgrading your current ride for one more befitting the season. 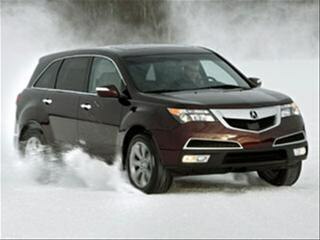 To help you ponder the possibilities, we've put together a list of our Top 10 Winter Driving Vehicles for 2012. Although this purposefully diverse roster includes a full spectrum of highly capable alternatives, all share one common trait: Each boasts some type of user-friendly all-wheel drive system that can help keep you on the road - figuratively and literally - as you head to your final destination. Whether that journey involves a mundane commute to work or a well-deserved weekend getaway to a favorite ski resort is up to you. Classy, comfortable and capable, the 2012 Subaru Outback is a superb year-round travelmate that truly rises to the occasion whenever Mother Nature does go on a rampage. 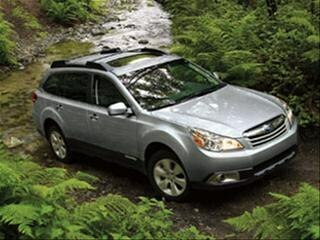 Even the base Outback 2.5i with its economical 2.5-liter flat-four engine packs an impressive feature set, highlighted by Subaru's excellent Symmetrical All-Wheel Drive and a comprehensive Vehicle Dynamics Control system. The more potent 6-cylinder Outback 3.6R as well as the Premium and Limited variations available for each respective Outback model make it easy to find the best match to up the creature comforts ante even further. An options list that includes a GPS navigation system, harman-kardon premium audio, a Cold Weather Package and Mobile Internet access further bolster the Outback's appeal. If only a minivan can really meet your basic transportation needs, there's just one choice to be made: the 2012 Toyota Sienna with optional On-demand All-wheel Drive System with Active Torque Control. Available on V6-powered Sienna LE, XLE and LTD models, this totally transparent upgrade adds a new level of sure-footed confidence to Toyota's well-appointed space ship. 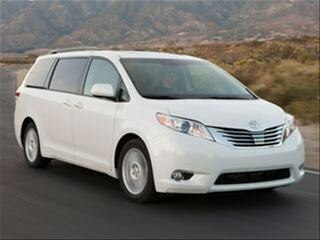 Like its front-drive kin, this even-more capable Sienna offers easily reconfigurable room for seven or eight, loads of standards and the choice of adding a passenger-pleasing Dual-View Entertainment Center on the XLE/LTD models as well as a Navigation Package and Dynamic Radar Cruise Control on the primo LTD variant. Well-mannered, richly appointed and offering room for seven, the 2012 Acura MDX makes a strong case for its spot on our list by matching a refined 300-horsepower V6 engine with a smooth-shifting six-speed automatic transmission and Acura's stellar Super Handling All-Wheel Drive system. Couple the MDX's dynamic prowess with standards like power heated leather seats, a premium audio package, tri-zone climate control and a power rear liftgate, plus available Technology, Advance and Entertainment Package upgrades, and this well-rounded Acura takes on all the charm of a safe and secure mobile living room. 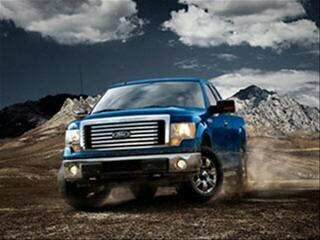 Perennial best-seller in the full-size pickup segment, the 2012 Ford F-150 in 4WD configuration won our votes for its smart blend of style, comfort and, yes, even fuel economy, thanks to the available 365-horsepower EcoBoost V6 - which has become the most popular engine in the entire F-150 lineup. Like the base V6 and two optional V8s, the EcoBoost/4WD combo can be had in Regular, SuperCab and SuperCrew body styles and multiple trim levels. While all F-150 4WD models boast Hill Start Assist for 2012 and upline versions add a new 4x4 "auto mode" to the existing 4Hi/4Lo setup, only EcoBoost 4WD models also get a new 36-gallon fuel tank that lets them match their best-in-class 21-mpg highway mileage with a best-in-class 756-mile range. 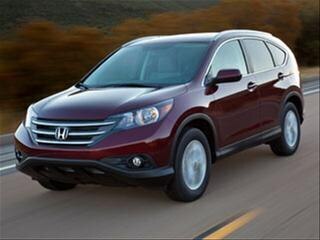 A generational makeover brings a more contemporary appearance as well as many welcome new features to the 2012 Honda CR-V, not the least of which is the introduction of Honda's Real Time AWD with Intelligent Control System. Optional on all models of the automaker's compact, crossover-style SUV, this smaller, lighter and quicker-responding upgrade of the previous Real Time AWD setup helps the latest CR-V cope with challenging traction conditions even more effectively. The people side of the CR-V package benefits from a similarly well-measured upgrade regimen that includes a quieter, more stylish cabin, better ride comfort and a new rear-seat entertainment system option plus significantly improved fuel economy from its 2.4-liter four-cylinder engine and five-speed automatic transmission. Countering earlier concerns about a double-dip recession, U.S. auto sales wrapped up a skittish 2011 on a positive note, surging in the final weeks of the year, with Detroit’s automakers helping drive the overall market to its highest level since the start of the long economic downturn. Overall sales of new cars, trucks and crossovers increased by 10.2% during 2011, largely paced by a surge in demand for domestic brands. General Motors, Chrysler Group LLC and Ford Motor Co. all finished 2011 with double-digit increases over the previous year. Vollkswagen also reported a 26% gain for 2011 as its new lineup of cars – especially the American-made 2012 VW Passat – has clicked with customers. Chrysler Group reported U.S. sales of 138,019 units, a 37% increase compared with sales in December 2010 and the group’s best monthly volume since May 2008. Ford Motor Co. also reported a 16% increase, while GM reported a modest 5% increase. For the year, Chrysler Group sales totaled 1.37 million units, up 26% versus sales in 2010, the largest percentage sales gain of any full-line manufacturer. The Chrysler, Jeep, Dodge, and Ram Truck brands each posted solid sales gains during 2011 compared with 2010. Ford sales finished 2011 with a 17% increase as the flagship “Blue Oval” brand saw sales top 2 million units for the first time since 2007. Meanwhile, with Chevrolet gaining momentum from a variety of new and older models, GM reported a 14% increase. Reid Bigland, Chrysler Group US Sales chief, noted December marked Chrysler Group’s 21st-consecutive month of year-over-year sales gains and seventh-consecutive month of sales increases of at least 20%. “Chrysler Group finished a year of growth on a strong note with our December retail sales soaring 45% to our highest dealer retail sales in four years,” Bigland said. “Looking back, we were the fastest-growing automaker in the country, increasing our market share 1.3%age points during 2011,” he said. The group’s 37% December increase was driven in part by strong sales of the Chrysler 300 flagship sedan, Chrysler 200 mid-size sedan, Dodge Charger and Avenger sport sedans, Ram pickup truck, and the Jeep Grand Cherokee, Wrangler, and Compass. Despite concerns about rising inventories, Chrysler Group finished the month with a comfortable 64-day supply of inventory (326,087 units). U.S. industry sales figures for December are projected at an estimated 14 million SAAR. Royal Oak-based Saab Car USA also reported selling 270 vehicles, down significantly from the 1,074 units sold in December, 2010. However, Saab managed to increase its overall sales in the U.S. despite the financial troubles that forced it into bankruptcy. TORONTO—Toyota Canada says chief executive officer Yoichi Tomihara is exiting the company’s Canadian operations at the end of the month. The CEO position will be immediately filled by Seiji Ichii, 54, who has held various roles in the global operations of Toyota over the past 30 years. Tomihara is transferring to Toyota’s European division where he will have an unspecified senior role. While he was in the lead role, Toyota Canada delivered its four highest years of sales, from 2008 to 2010. But results have stalled in the past year as effects of the tsunami and earthquake in Japan last spring halted shipments of many auto parts, affecting production. This fall, Toyota scaled back working hours and made adjustments to output at its Canadian plants as the company responded to a supply slowdown caused by flooding in Thailand. Q & A... Are you in the grey? Q: A couple of years ago, I bought a new Hyundai Santa Fe. system in case of vehicle theft (costing about $350 extra). the dealer) as “already stamped on the vehicle” and not negotiable. value at no extra charge. system, as part of their base price on all new cars. as if it were part of the base car price. choose to offer their customers value-added aftermarket features. factory specifications for features and equipment. options other than those you have chosen. wanted to charge for a vehicle tracking system that he did not want. dealership that did not do this and so gave them his business. A police radar unit cannot be calibrated by a police officer. The instruction manuals for radar units details what is required to be done. spend my hard-earned money as I please. the age of majority (18 years). be monetary adjustments made to reflect this use. LOTUS share a SAAB story with you!!! The logo of Swedish automaker Saab. With the filing of bankruptcy papers this week it’s all over for Saab but the funeral. Or is it? Few automakers have existed so long and so close to the precipice -- or shown the uncanny ability to come back from the seeming dead. But this week’s developments would suggest that the Swedish automaker will soon wind up on the automotive rust heap. Exactly what that means remains to be seen, as the bankrupt firm’s parent, Muller’s Swedish Automobile, or SWAN, said it would write off its investment in the automaker. There are signs others may see gold amidst the rust, however. The Swedish Ministry of Enterprise says it has received a “number of calls” from potential buyers of Saab’s remaining assets. Among those interested is Zhejiang Youngman Lotus, the ambitious Chinese automaker that had hoped to strike a deal with Saab to head off the Swedish company’s bankruptcy. It ran into a brick wall in the form of General Motors, which made clear it didn’t want to create a new competitor for its own Chinese operations -- GM being the largest automaker in the booming Asian market. Though it had sold off Saab in 2010, the U.S. company remained one of its biggest suppliers, providing engines and other parts for Saab’s 9-3 and 9-5 models and assembling the new 9-4X crossover vehicle at a GM plant in Mexico. But Youngman could purchase Saab’s other assets -- if it can figure out precisely what those are. There are the designs for the current Saab models, though it’s unclear what value they would have without GM’s cooperation. There’s also the next-generation Saab 9-3, which was going to migrate to an engine provided by BMW. There’s also the Saab name itself -- although industry analysts see it as severely tarnished in light of the maker’s long-running death spiral. And a purchaser might still have to get approval to use the brand name from Swedish defense company Saab AB, which sold the automaker to GM a decade ago. Saab started out as an aircraft manufacturer, originally known as Svenska Aeroplan Aktiebolaget. A group of the company’s engineers, looking for ways to keep busy as defense spending collapsed, put together the company’s first automobile shortly after World War II. Saab never developed a solid financial foundation. GM bought a 50 percent stake in 1989, acquiring the rest of the company 11 years later. GM decided it close or sell off Saab -- along with three other North American brands -- after emerging from bankruptcy in 2009. Saab was set to close when Muller stepped in later that year. The deal was completed early in 2010 and gave Muller, among other things, Saab’s headquarters and assembly plant in Trollhattan, Sweden. The Swedish carmaker earlier this year had raised some preliminary cash by selling its factory and other properties. What use they will be to anyone remains unclear. While the Saab assembly plant was one of GM’s most modern it is located far from the center of European automotive manufacturing and in a country with some of the Continent’s highest labor costs. Part of the challenge for anyone interested in purchasing Saab assets is that it would also have to deal with both the Swedish government and the European Investment Bank, the latter having provided a 400 million euro loan to back the sale of Saab last year to what was then known as Spyker Cars. The Swedish courts have already appointed two trustees to try to rescue whatever is possible from the ruins of Saab. Muller hinted he would like to see workers -- who have gone unpaid for months -- get something in time for the holidays, though that seems unlikely. Despite its problems, Saab has maintained a small core of loyalists; U.S. sales totaled almost 4,000 units this year. The question is what will happen to those and previous buyers. Vehicles sold when GM owned the company should qualify for warranty service at GM dealers, according to several industry sources, but there could be hiccups in the short-term, and as for vehicles -- like the new 9-4X -- purchased after the sale, that could be another matter entirely. Even those older GM-built models are facing delays. Should a customer have an immediate problem, Tinson said, it will be “up to the discretion of the dealer” to decide whether to provide covered repairs or charge the owner.